Product prices and availability are accurate as of 2019-04-19 15:50:33 BST and are subject to change. Any price and availability information displayed on http://www.amazon.co.uk/ at the time of purchase will apply to the purchase of this product. 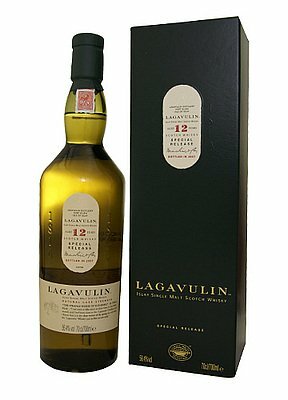 Lagavulin Single Malt Scotch Whisky has the longest distillation and maturation of any in the Classic Malts Collection. It simply will not be rushed. 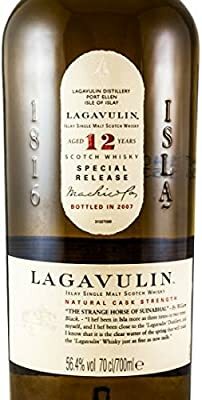 Crafted by the people of Islay, it carries within it their intensity and their attitude that if something's worth doing, it's worth making time for and doing right. 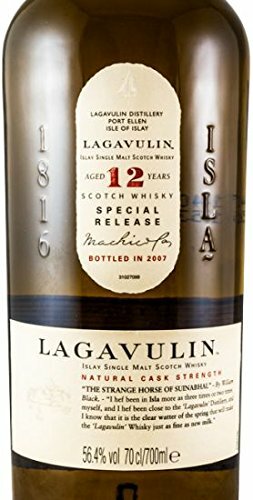 In 2016, Lagavulin celebrate 200 years. The date of the first official distillation is 1816, though there's no doubt that locals would have been producing their own whisky there for generations. 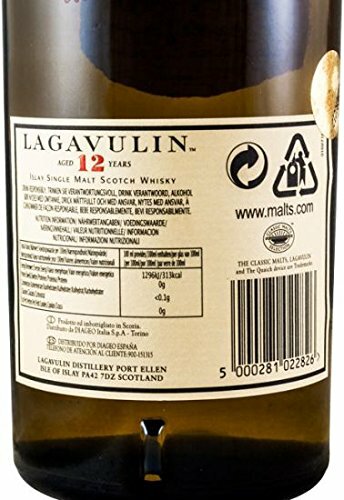 Since that first batch, many have fallen in love with its rich textures, intense flavours and remarkable nose of smoke, brine and sweetness - including legendary whisky journalist Alfred Barnard.